360 video and interactive experience created to showcase the innovations behind the toughest, smartest, most capable F-150 ever. 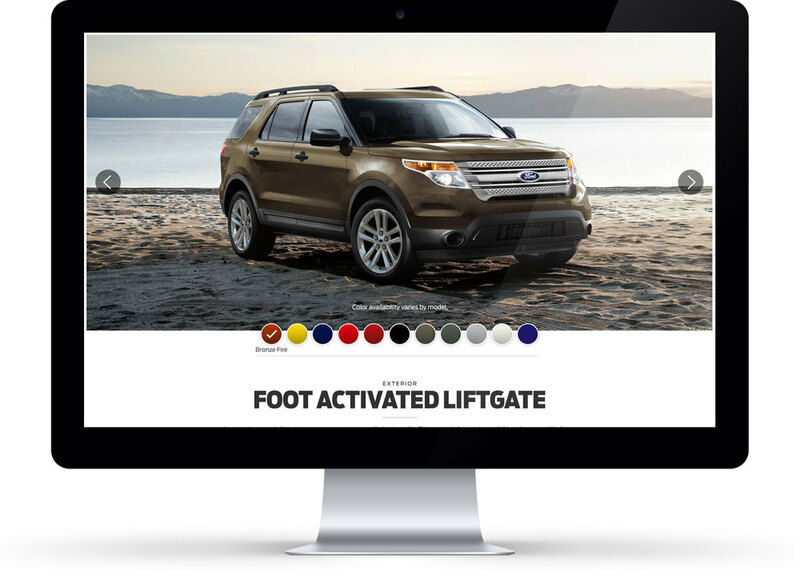 Website design and art direction of videos showcasing enhanced active park assist and 180 degree camera for the reveal of the 2016 Ford Explorer. 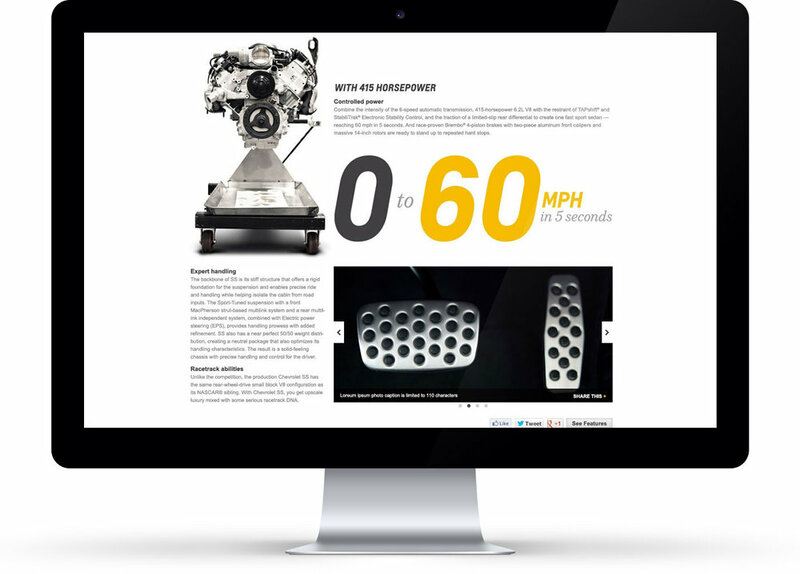 Page design and art direction of photography for the 2014 Chevrolet Camaro coupe mid cycle enhancement. 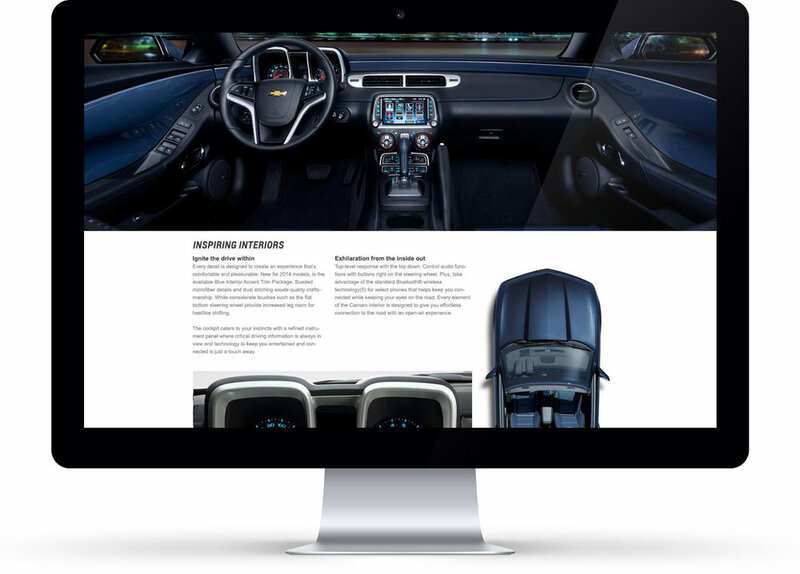 Page design and art direction of photography for the U.S. launch of the Chevrolet SS sport sedan.